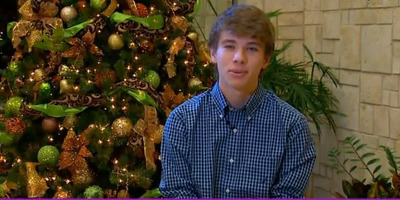 The 16-year-old kid from Texas who became internet-famous overnight as “Alex from Target” is already tired of his fame. “The whole Alex From Target thing is starting to get old,” he told WFAA. It has only been a month since a photo of him bagging merchandise at Target went viral online, thanks in large part to hundreds of thousands of lovestruck teenage girls. Alex is still working at Target, but he’s been banned from the cash register because so many teenage girls have been looking for him. “Right now I’m working in the back [of the store],” Alex said. He said he has received hundreds of marriage proposals from 15-year-old girls. His parents said they have been trying to keep things as normal as possible at home. “He still has chores at home and he has homework to do. We’re not going to change the way we parent because he has this platform,” his father, Eric Fooks, told WFAA. His parents are also trying to manage some of the negative effects of internet fame, such as cyber bullying and death threats. In a recent interview with the New York Times, Alex said he has been staying close to home because the attention from girls has been so overwhelming.